The Butler Collegian and Butler's IndianapolisNewsBeat.com picked up four awards at the Society of Professional Journalists' "Best of Indiana" awards, presented by SPJ's Indiana Pro chapter. The Collegian won two first places: Sports writing (Colin Likas '14, Jill McCarter '13 and Marissa Johnson '13 for "Packing Up and Moving On?") and editorial writing (staff editorial by Kevin Vogel '14, for "The Ins and Outs of the Indiana Lifeline Law). IndianapolisNewsBeat.com, a news website of the Eugene S. Pulliam School of Journalism that features stories by students in JR212, JR312 and JR412, won second- and third-place awards for non-deadline news reporting (Whitney Simmons, second place, for "What the Death Penalty Means in Indiana," and Joellen Gentry, third place, for "Recent Job Cuts and Hospital Expansions over Past Decade Generate Quality Care Concerns"). The awards banquet, which honored journalists at newspapers, magazines, TV and radio stations across the state, was held Friday night at the Marriott North. 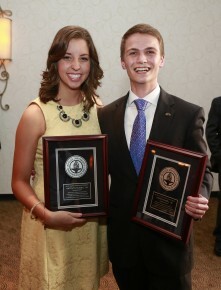 Chad Pingel, a junior Marketing and Finance major from Des Moines, Iowa, and Katelyn Sussli, a junior Organizational Communication & Leadership and Political Science double major from Loveland, Ohio, have been named Butler University’s most outstanding man and woman students, respectively, for 2014-2015. Pingel, who is minoring in Ethics, has served as a Butler Student Ambassador and chaired the academic affairs of his fraternity, Delta Tau Delta. Most notably, he has held roles as Vice President of Finance and Student Body President through the Student Government Association. He also works as a Student Orientation Guide and, next fall, will be a Student Orientation Coordinator. After graduation, he plans to stay in Indianapolis working in either the consulting or health care industries. Sussli, who has a Business minor, will graduate in spring 2016. She has served as a Butler Student Ambassador, President of the Butler University Student Foundation, and Director of Administration for her sorority, Alpha Phi. She has been Student Director of the Volunteer Center and coordinator of the Academic Affairs committee of the Council on Presidential Affairs. After graduation, she plans to pursue her master’s degree in higher education. They were selected from this year’s Top 100 students, recognized by the Office of the Vice President for Student Affairs and the Office of Alumni and Parent Programs. Since 1961, the Outstanding Student Recognition Program has honored students who, through campus leadership, community involvement, and academic performance, are great assets to Butler University. 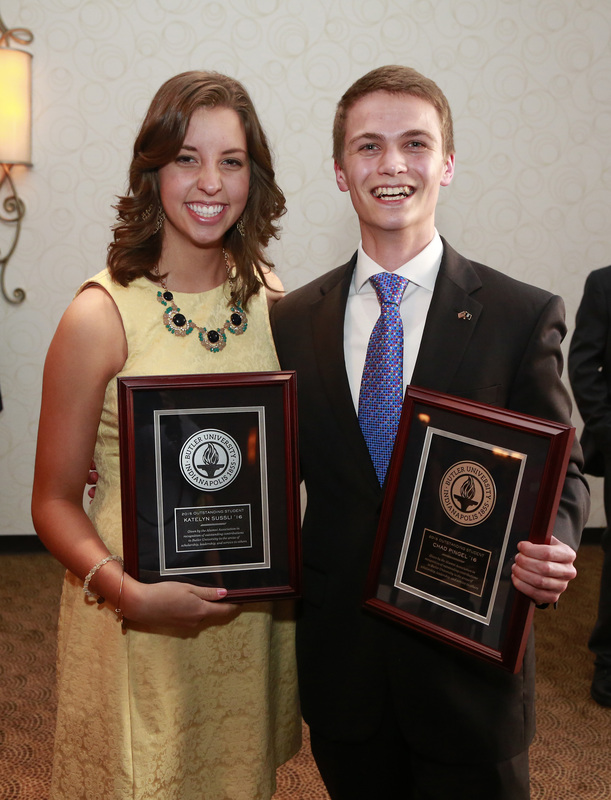 The Butler Collegian was honored Saturday, March 28, with seven Society of Professional Journalists Mark of Excellence Awards, which honor the best in collegiate journalism. Junior Audrey Meyer won for editorial cartooning (including "Ebola" and "Dirty Laundry"). Here is a link to Meyer's cartoon collection. Former editor in chief Marais Jacon-Duffy '14 and freshman Cassie Eberle won for general news reporting on the capture of a former Butler student by ISIS and video threat to behead him. Sophomore Matthew VanTryon, the Collegian's managing editor, was a finalist for two awards: in-depth reporting, for his series of stories about allegations of verbal mistreatment and abuse by the former women's basketball coach, and feature writing, for a story about former men's basketball player Andrew Smith being diagnosed with cancer. Sophomore Katie Goodrich, who was news editor last semester and is studying abroad this spring, also was a finalist in feature writing, for her story "Trip Tours the Nation." 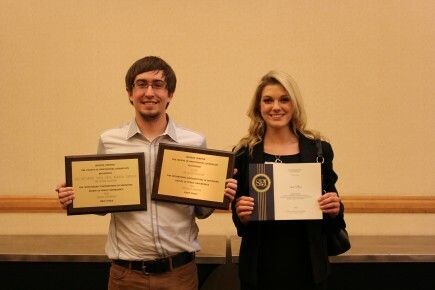 Seniors Ben Sieck and Mallory Duncan, who served as co-managing editors last fall and co-editors in chief near the end of last semester, were honored with a finalist award in the breaking news reporting. They wrote stories on-deadline for online and print about the death of former Butler student Abdul-Rahman (Peter) Kassig, who was beheaded by ISIS. Editor-in-chief Julian Wyllie, a junior, was a finalist for general column writing. 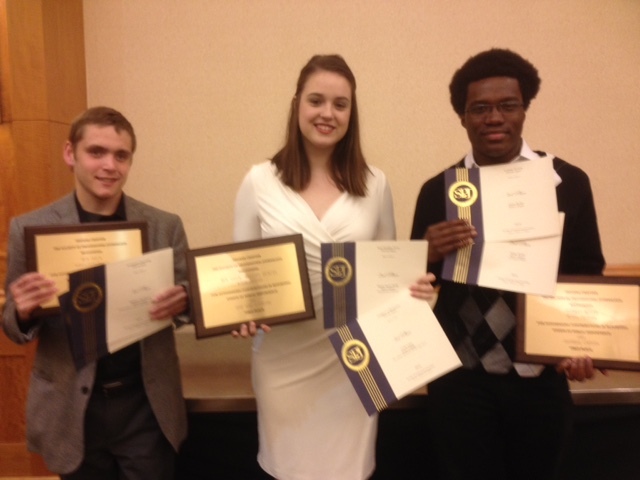 The awards, for work published in 2014, were presented during the SPJ Region 5 conference in Louisville on Saturday. Regional winners advance to the national competition.